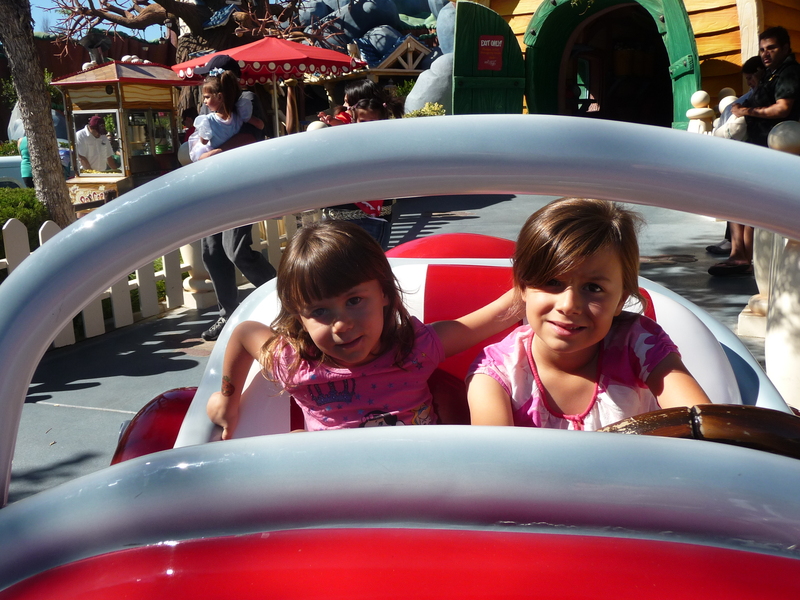 Taking trips to Disneyland became a family tradition when we thought Dana might be old enough to enjoy it. We attempted our first family trip when Dana was about 2 years old and I was pregnant with Charlotte. Although I was mildly nauseous and very tired wandering through Fantasyland with a toddler in the July heat, the experience was undeniably magical. Dana was as bright-eyed and full of wonder as the kids you see on the commercials and print ads. She embraced each and every character with a big hug and a huge smile. She never melted down over the crowds or lines, and her enthusiasm and excitement made the experience truly unforgettable. 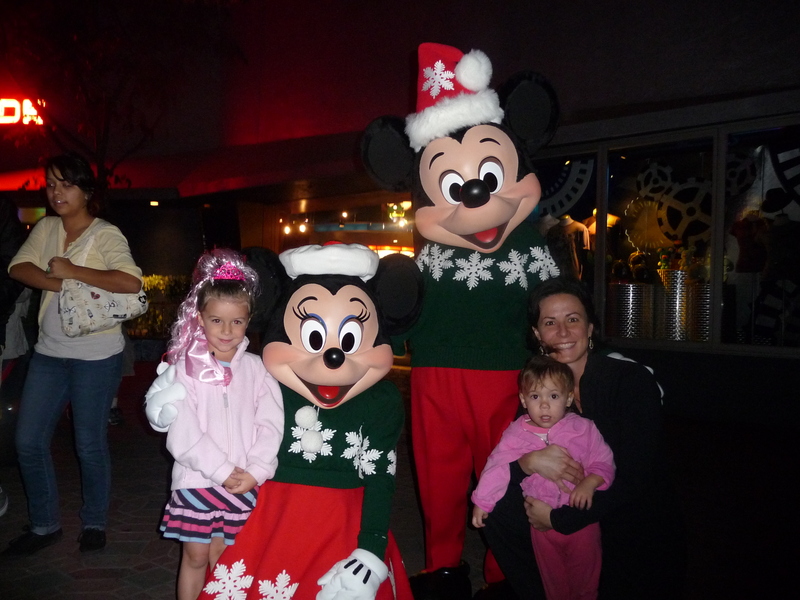 In 2009, we returned to Disneyland, hoping for a repeat performance with two kids. Charlotte was about 18 months old, and she was walking and talking and looking very much ready for the full Disney experience. Dana was older and ready to enjoy bigger and faster rides. I have fond memories of the trip, but I also remember returning home exhausted. It was more than just your typical Disneyland hangover, I was struggling through a confused haze. My hope had been to recreate the magic and innocence we had experienced with Dana just a few years earlier, but I knew we had fallen short. Dana was generally not as interested in princess and fairies as she had been just a few years earlier and Charlotte’s behavior certainly was not magical nor full of wonder. She had difficulty sleeping in the hotel–waking often and taking a long time to return to sleep. As a result, she was tired and dysregulated at the park. She resisted riding in the stroller and when we took her out to walk, she picked up every item within reach off of the ground and placed it in her mouth. 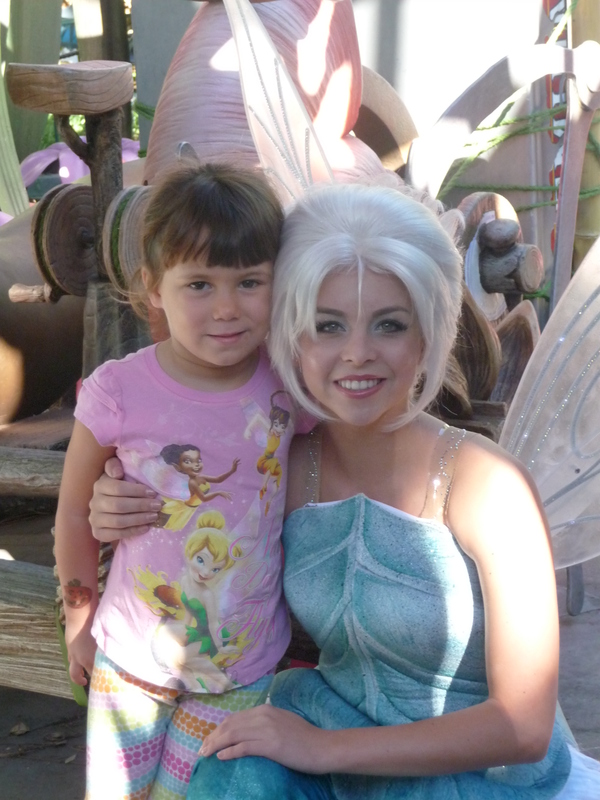 She approached the princesses and other characters guarded with trepidation. Instead of running and embracing them with unabashed sweetness and innocence like Dana had done, she darted from side to side and then ran as fast as she could, circling their colorful gowns. And if you have been following this blog for some time, you know that I was heavily medicated for post partum depression at this time. Other events that year are fuzzy memories, but the glassy confusion and disorientation I felt as a result of that trip are crystal clear in my mind. Something was clearly not right with Charlotte, and for several months the experiences and memories floated through my consciousness looking for a safe place to land. We put any future Disney trips on hold as the pieces of the puzzle began to fall into place. We learned the name for Charlotte’s struggles just a few months later. And as much as we all wanted to return to the Happiest Place on Earth, we knew it wasn’t the right place for Charlotte. We carefully explained to Dana that we would go again when Charlotte was ready. Over the last few years, we’ve all watched and waited patiently as her nervous system has learned to effectively process more stimulation. A few months ago, Charlotte started showing a consistent interest in the Disneyland app on our ipad. It’s a great app as the ipad user engages with Disneyland attractions much like a park visitor would. The music changes as the user moves through the different “lands” of the park. Seeing Charlotte’s interest in this app, as well as her improved behavior, sleep, and postural control, Chad and I knew it was time to begin planning the trip. While it was daunting to relive past disappointments and unrealistic expectations in preparation for this trip, I kept focused on what Charlotte would need to be successful. I narrowed my concerns down to long lines and food. One of my favorite blogs, The Diary of a Mom, had mentioned a special pass for park visitors with invisible disabilities (like Autism). The pass supposedly shortened lines and let Disney cast members know that your child may need extra attention. The GAC (Guest Assistance Card) turned out to be a lifesaver. When we entered the park on our first day, I went straight to the Town Hall and stood in line. I told the Disney cast member that my daughter was on the Autism Spectrum and I wanted to see if there were any accomodations that could be provided. He asked me a few questions and presented me with a card stating her name, the number in our party, and the days we would be visiting the park. Our pass was tailored to Charlotte’s needs. We showed to the Disney cast member at the entrance to each ride, and we were able to enter through the handicapped/wheelchair entrance or Fast Pass lines for the bigger rides. We could use the stroller in the line if we needed to. The beautiful part about the pass was that Charlotte used her energy for controlling her behavior and enjoying the experience. I was able to help her manage her sensory needs throughout the day. Waiting in long lines would have zapped her energy and enthusiasm, leaving little for dealing with the sensory challenges around every turn. I knew that the food issue would just take some preparation. Some internet research told me that Disney offered many gluten-free options. 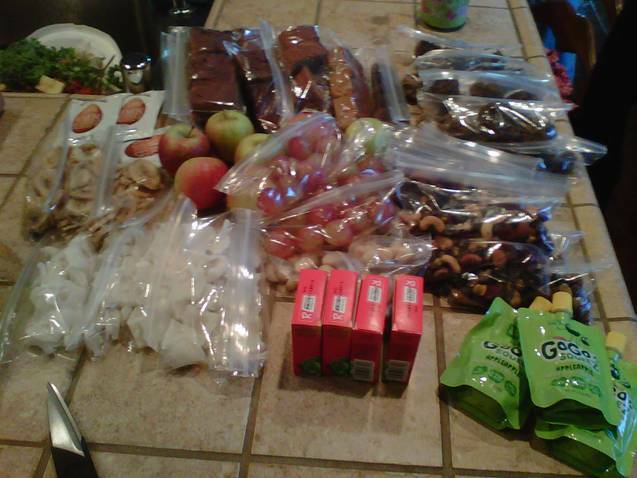 My plan was to eat meals at the park or hotel restaurants and pack plenty of Paleo snacks. It worked out very well, as our hotel offered a hot breakfast of eggs, bacon, and fruit. Lunches were eaten inside the park restaurants. I simply asked for gluten-free replacements for items like corn bread and hot dog buns. Since my kids are used to going without these starches, the gluten-free breads and rolls felt like a special treat. Our favorite Paleo treats worked great for the long car ride as well as in the park between meals. We packed plenty of coconut chips, apples, raisins, sunflower seed butter muffins, and sweet potato bars. It certainly wasn’t easy, but I saved the day before the trip for baking and packing the special treats. The trip was special and magical in its own way. Dana was tall enough to ride every ride with her roller-coaster-enthusiast daddy while Charlotte and I made our way through the same Fantasyland and princess attractions that Dana and I had enjoyed so many years ago together. 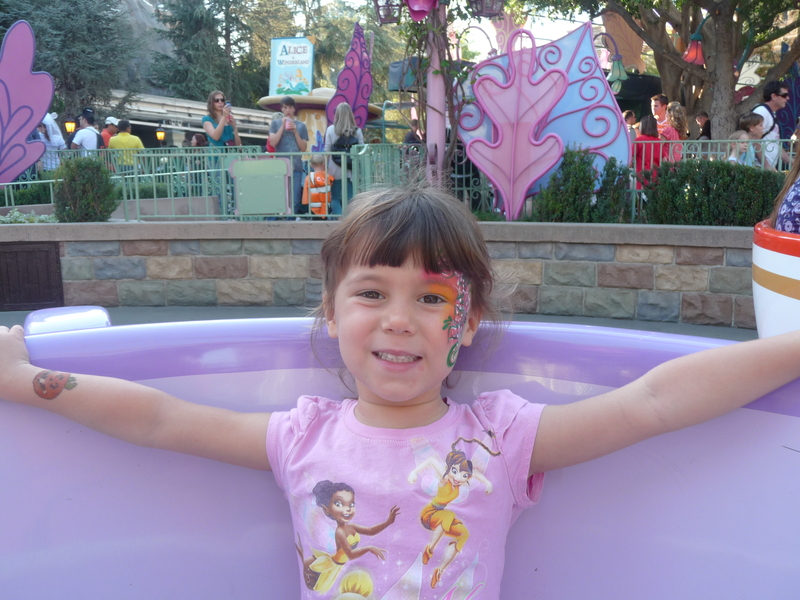 Charlotte loved the tea cups, getting her face painted, visiting the princess, and especially Toon Town. By the time we had gone on a few rides together, she let us know that she preferred outside rides and roller coasters, and that any ride without dark caves was okay with her. She self-regulated beautifully and let me know when she needed a break. It was fine with me to sit in the shade, slow down, and soak in the experience–making it all our own. I could not be more proud of her and how well she handled the many challenges she faced on the trip. On the morning of the last day of our trip, we learned that our dog, Redford, had passed away while we were gone. 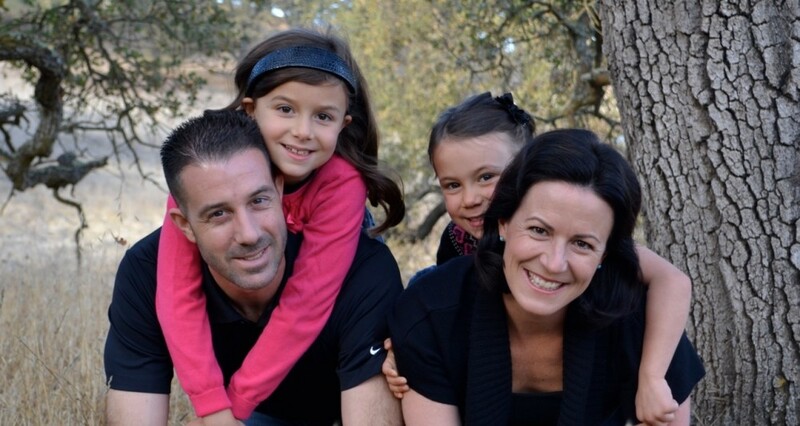 Chad and I shared the news with Dana, encouraging her to enjoy the day as much as she could. We all decided we would wait to tell Charlotte until the day was over. As we headed out of the mountains of Southern California and began the long stretch of highway home, we sat with the news and I knew we needed to talk about it as a family. Charlotte had already processed and experienced so much. I felt like this might be the end of the fun, peaceful trip we had all needed. I felt certain a meltdown with repetitive and scripted language was going to fall upon us. I was unsettled between telling her and facing the uncertain fate of her reaction and waiting for her to discover for herself when we got home. But I had no reason to worry. True to form, she met the challenge in her own way. Upon hearing that Redford was in heaven, she asked for God to welcome and watch over him. My mind was at peace and my heart was heavy but happy. All that was left was a silent prayer of thanks for the challenges and disappointments that have become incredible blessings and magical family experiences.